Brewers around the world have begun to infuse cannabis and cannabis-terpenes into their beers as the market continues to open up for the legal consumption of cannabis products. This is amazing news for those of us that like to crack a brew and blow some weed smoke to relax a bit. There are plenty of times where lighting up a doobie just isn’t appropriate, and having my beer already infused with THC would make that inconvenience a thing of the past. You still need to live in a state where cannabis is legal before you can get access to these trending cannabis beers. If you happen to make the trip to a state where it is legalized, here are some cannabis/terpene infused beers you can enjoy. In addition to cannabis, many breweries are also using cannabis terpenes and CBD oils to create consumable concoctions that go down the hatch quite smoothly. The Two flowers brew is leading the charge with CBD infused beers and many more are sure to follow. Two Flowers is brewed by the Coalition Brewing company in Oregon. Oregon is another state where cannabis is legal, and trees are plentiful. Might be time to pack my bags and head to the Pacific North West. If you have been around weed long enough, you know the name, Humboldt. There was a recent documentary that came out on Netflix called “Murder Mountain” that you should watch to get a little more familiar with the area. Back to the brew though. 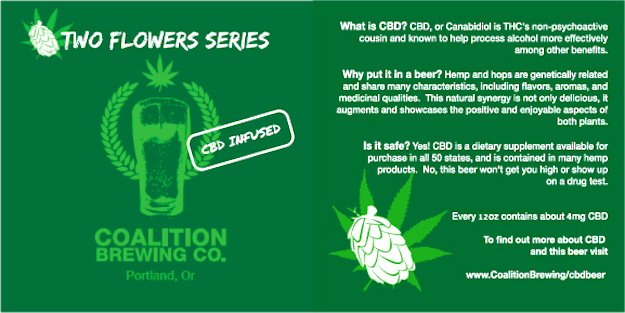 This cannabis-infused brewski was brewed by the Humboldt Brewing Company and is an award-winning brew that has received many awards for being the fine nectar it is. Hemp Hop Rye sounds like it was born from Hip Hop culture. Not the case, however, it is brewed by the O’Fallon Brewery and has been brewed to perfection with toasted hemp seeds. I’m unsure if there are additional terpenes introduced into this beer, but it has notes of caramel that waft from the bottle top. It’s a good drink, eight of them could easily get consumed on a Friday. 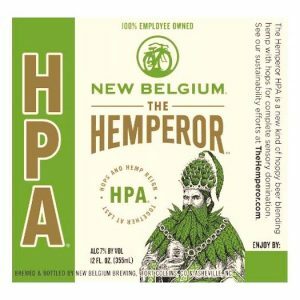 Born from the masterminds behind Fat Tire, this hemp infused nectar of love is a delicious option for anyone looking to try a cannabis-infused brew. You can grab a bottle next time you are in Colorado, the New Belgium brewing company is located there. Sightings of this beer are as rare as Big Foot sightings. Brewed in Minnesota by Fitger’s Brewhouse, this emerald gem is only brewed once a year. The brew is made and fermented in time for the Homegrown Music Festival and is “high” in demand for concert-goers looking for a fresh brew and a taste of some greenery. Beers and bud go together like hand and glove, having it all infused in one bottle only creates more opportunities for good times! 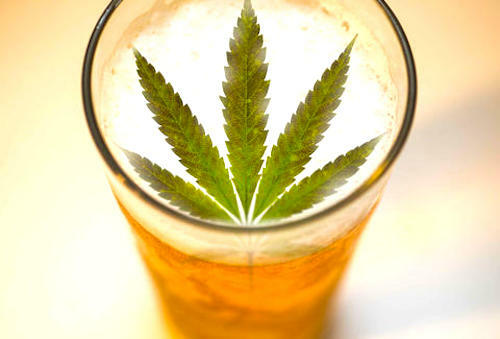 With more brewers getting creative with cannabis infusions, CBD, and terpene rich flavonoids, the beers of the future are sure to be rich in flavor and aromatics for the brew connoisseur of the world.